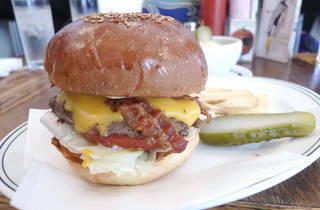 You'll find hotdogs, sandwiches and fried goods on the menu at Fire House, and, of course, a large selection of burgers. 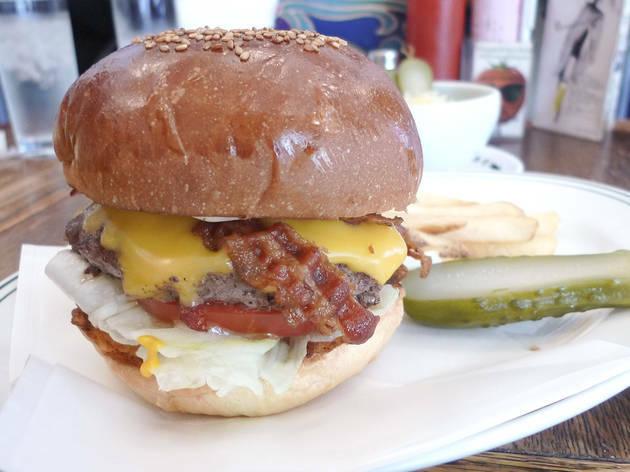 Opened in 1996, it's been serving up its greasy wares to satisfied customers for almost 20 years, and those in the know will know that the real reason to go is for a meaty fix. Large, freshly cooked patties come with a range of toppings, including cheese, avocado and even apple. If you're feeling especially hungry, though, try the 'Mad Burger', which comprises three large patties smothered in chilli and cheese, and rounded off with a fried egg. Greasy and delicious.